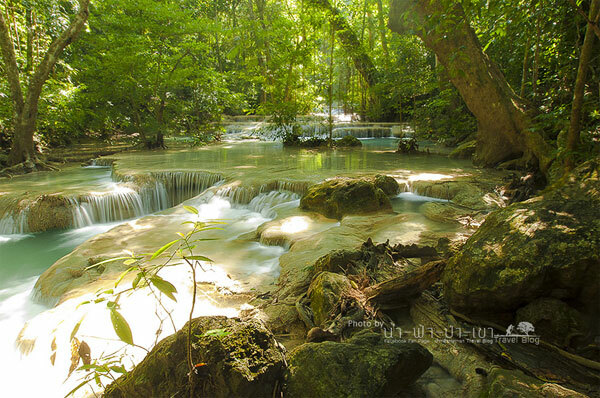 Erawan Waterfall is situated within Erawan National Park, which covers an area of about 600 Square Kilometers. 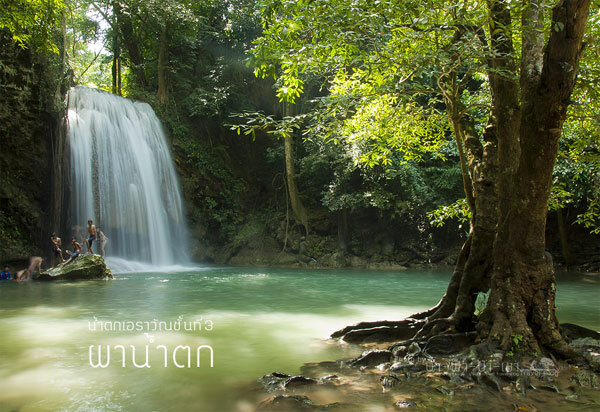 Erawan Waterfall is a large fall flowing from the mountain through the forest, and it naturally creates 7-levels waterfall. 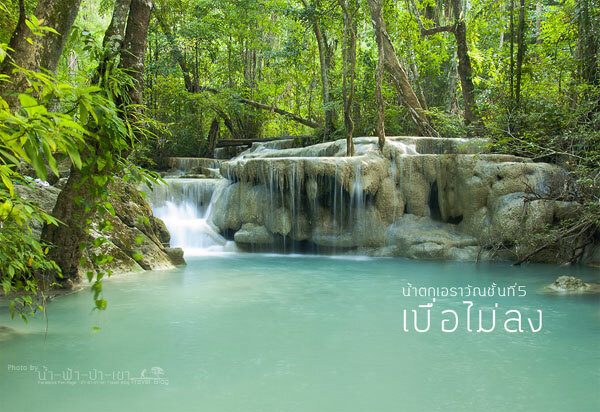 Each level has its own Thai name. 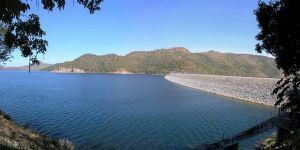 To walk from the 1st level till the topmost one, 1.5 Kilometer, would take about an hour or more. 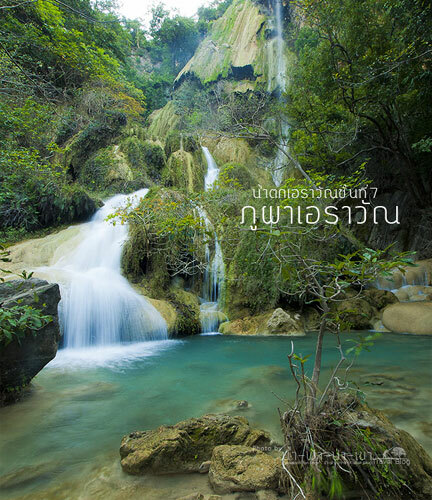 At the 7th level, many people indicate that the cliff there look like the heads of three-head Elepant, Erawan, and that is how this water fall is named. 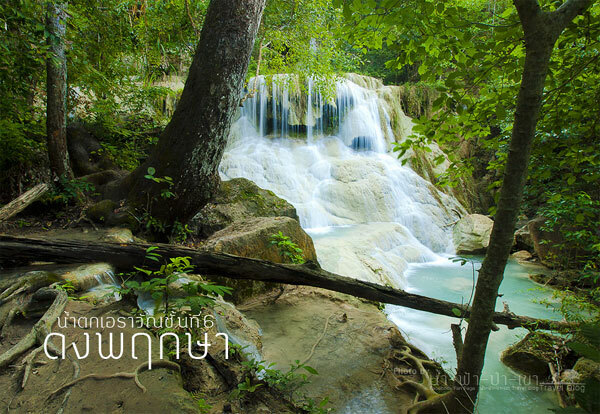 Erawan Waterfall is really beautiful because the color of water is in blue like a swimming pool. 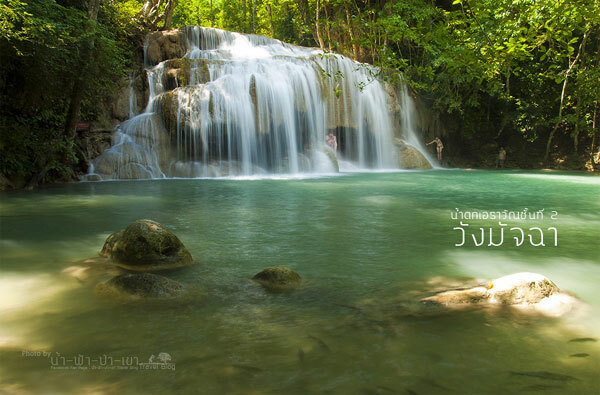 Any observant would notice that the place nobody getting in the water is so clear. 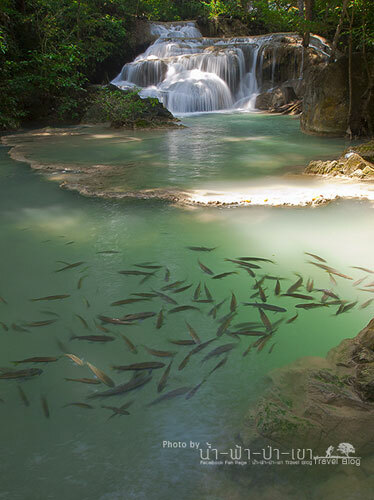 At the low-level of the water fall, visitors can see a lot of fish in the water as well. 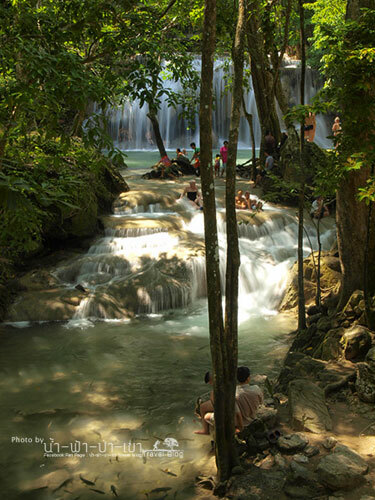 Climbing to see different levels of the waterfall would suit those who like adventure, so this place would be the one they shouldn't miss. 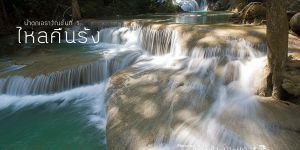 Although the waterfall can flow throughout the year, on December - April, the water of the fall is not much, compared to the other period. 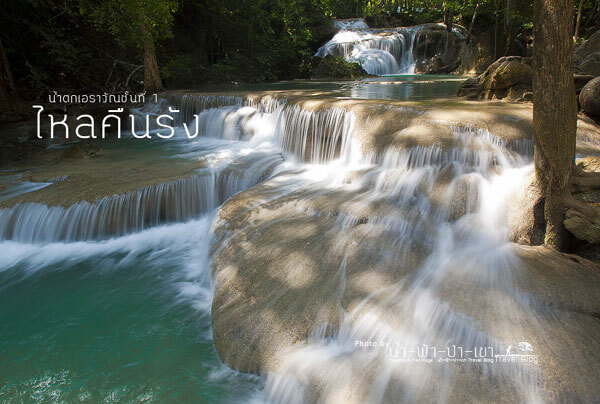 For backpacker it is not difficult to go to Erawan waterfall at all, since visitors can take a bus to the water fall. 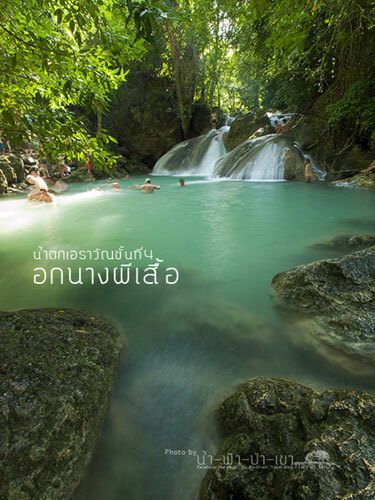 Visitors can find an Erawan bus at Kanchanaburi bus terminal, which would take about 2 hour to Erawan and about 50 Bath for one-way trip.